Hongkou River is located in the central part of the Hongkou District in downtown Shanghai. The historic urban landscape of this area expresses the long history of development and transition, from the Qing Dynasty, passing through the Foreign Concessions period, up to contemporary times. 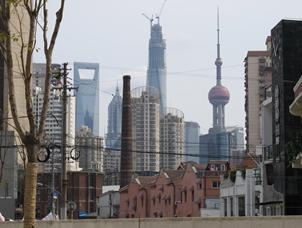 d) The recreation of a typical characteristic of Shanghai’s residential neighborhoods that is expressed by high densities in public and private areas, as well as a strong sense of community and social cohesion. During the last years the redevelopment of Hongkou District has put severe pressure on the 8 remaining lilong along the Hongkou River. In the direct surroundings urban renewal has already taken place, with high-rise residential blocks gradually replacing the lilong. Some blocks with more formal architectural and monumental qualities have been preserved and renovated to house new functions (among which offices, a cinema). 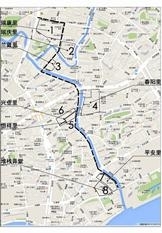 Shanghai’s Municipal Government has requested Tongji University to develop ideas on how to preserve the Hongkou lilong, whereby the emphasis is not put on the technical requirements, but on the financial-institutional – in other words: a plan that can demonstrate how to finance a rehabilitation of the area. In cooperation with the University of Pennsylvania’s Historic Preservation Program (USA), a summer fieldwork took place in Hongkou District, focused on the elaboration of a conservation and development strategy and centered on the economic feasibility and financial management of such a strategy. Specifically, a cost/benefit analysis of the lilong cluster was conducted, which included the ‘traditional’ financial cost/benefit calculations –i.e. what is economically the best solution–, but supplemented with parallel analyses on the costs and benefits addressing social, cultural and environmental aspects (including infrastructure improvement). Then, armed with these analyses, three scenarios were developed and evaluated, based on respectively two, four, and six of the lilong being maintained in their current or new uses. The UPenn/Tongji/WHITRAP Summer Fieldwork was held from 1 to 13 June 2014 in Shanghai. Suzhou city, located south of the Yangtze River, is known under various names, such as the “Chinese Garden City”, “Paradise on the Earth” or the “Oriental Venice”, with its gardens listed as a UNESCO World Heritage site. The city was considered among the first group of Famous Historical and Cultural Cities, Towns and Villages to be set aside for special protection in 1982, with more than four thousand years of history, as well as one of the most important economic and cultural centres of the southern region. The historic urban landscape of Suzhou embodies multiple and abundant historical layers of different time periods, which has been part of a long tradition in urban planning that involves heritage conservation and management as a fundamental aspect for the city’s development. 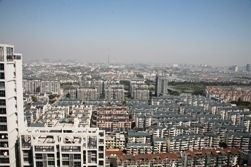 Since the beginning of 1987 this city has adopted multiple perspectives and lines of action for heritage conservation and urban renewal, which is the reason why Suzhou is recognized as one of the first cities with a proper Master Plan for heritage conservation that has introduced new concepts, goals and methods for conservation management in China. As one of the Pilot Cities in WHITRAP’s Special Programme on HUL and through technical assistance of Tongji University, the aim for the application of the HUL approach in Suzhou is to strengthen heritage conservation and renovation processes in the city. The HUL approach will guide heritage renovation processes for the areas of Shan Tang Street, Shiquan Street, Ganjiang Road and South Central New Village. Tongli is one of the six famous ancient towns in the region of the Yangtze River, known as the “Venice of the East”, due to its ancient canals; it is acknowledged as one of the Chinese National Cultural Heritage Relics. The canals and historic buildings in the ancient town of Tongli are well preserved and witness to the different historical layers from the Song Dynasty to the Republic of China (i.e. from the late 10th century up to 1949). Tongli is geographically surrounded by five lakes, while a river passes through that divides this town into several segments. Because of the challenges of its geographical location, with difficulties of accessibility and communication, and a lack of natural resources, on the one hand many of the historic structures have been preserved, but on the other hand this leads to obstacles for further development. 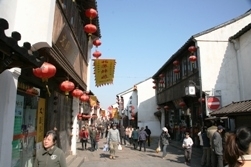 Tongli merged with the town of Tuncun in 2001. According to the “Integrated Urban Planning Framework of Tongli Town, Wujiang City of Jiangsu Province, 2002–2020”, Tourism, Culture & Arts, and Commerce & Trade will become the three key industries in the area. 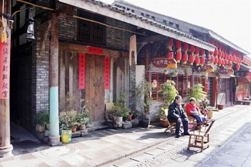 Especially tourism is growing in importance with millions of people visiting Tongli ancient town every year. Moreover, the development of an Industrial Park in Tongli will bring large numbers of labourers, who will need to settle inside or around the town, all putting pressure to speed up the construction of infrastructure while creating an urgency to address these challenges in the context of the protection and conservation of the water town of Tongli. 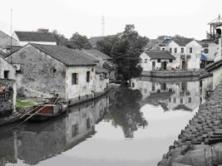 As part of WHITRAP’s Special Programme on HUL, Tongji University is working in Tongli towards the elaboration of public policies and a conservation approach that integrates the historic town of Tongli with the development dynamics that surround it. A mapping exercise has been developed on the characterization of the historic built environment, while research is being conducted on how its transformation in the past 10 years has affected the current town structure and the cultural practices therein. These will inform the elaboration and adjustment of public policies, including the ways and means of protection and conservation. West Street Historic District is a National Historical and Cultural District, located in the ancient city of Dujiangyan and adjacent to the World Heritage site of Mount Qingcheng and the Irrigation System of Dujiangyan. This district is the only one remaining in relatively intact conditions among the residential neighborhoods of the city. Dujiangyan is located on an active earthquake zone, with the latest earthquake occurring in May 2008. This catastrophe changed the perspective of the development and urban planning of Dujiangyan, in which the focus changed to processes of restoration and renewal. After the 2008 Sichuan earthquake, the Urban Planning Bureau of Dujiangyan developed the Master Plan of Reconstruction of Dujiangyan City 2008–2020, which established the direction to restore Dujiangyan as a Modern Garden City and International Tourism City. Dujiangyan has great tourism resources, including the property of Mount Qingcheng and the Irrigation System of Dujiangyan, inscribed on the World Heritage List in 2000, all connected by highway from Chengdu, the capital of Sichuan Province. Moreover, Dujiangyan is also located en route to the famous Jiuzhaigou Valley, another World Natural Heritage site (inscribed in 1992), which ensures more people come through or stay in the city. After the 2008 earthquake, the buildings of West Street Historic District suffered various degrees of damage, setting an urgent reparation and rebuilding programme that accounted for more than 40% of the area. In 2009 the Dujiangyan municipal government started the reconstruction project of the West Street Historic District by establishing a planning mechanism that included housing replacement, reconstruction of municipal facilities and improvement of public environmental facilities, among others. In this planning process the local authorities collaborated with local communities and other stakeholders. 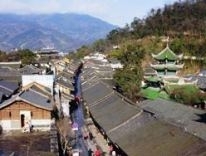 Furthermore, the recovery of the area also focused its effort on the aging population and their living conditions, which were seriously lagging behind the overall development level of Dujiangyan. The recovery and rehabilitation project was finished in May 2013. As part of WHITRAP’s Special Programme, the HUL approach was introduced in the recovery and rehabilitation project of the West Street Historic District with the aim to articulate the local development requirements after the natural disaster in conjunction with local community and stakeholders demands, whose conflict compromised the possibility of an integral heritage protection of the area, to safeguard its authenticity and integrity. The community participation process that was established in the heritage areas’ recovery and renewal processes have become prominent among Chinese urban heritage conservation practice nowadays.